It was January 21, 2011, exactly three years ago that we received the news of Kate’s diagnosis. In many respects, we have fared much better than I might have expected. At that time Dr. Reasoner mentioned a 12-year time frame as something that was normal from beginning to end (at least that is what I recall). I am even more confident that finding out that she has AD was the best thing to do. We have lived differently than we might have done otherwise. I believe we have made the most of our time together. Just as important we continue to do so. That means I am optimistic that we do the same in the years ahead. As it was at the time of her diagnosis, I am concerned that 3 years from now life will be considerably different for us. I hope that when I write on the 6th anniversary of her diagnosis, I can say that I was too pessimistic, but it seems like she is showing more signs of decline. As I may have noted in earlier entries, I decided that it was best to tell the children. I took action on Monday (Jan. 20). I sent them an email message to arrange a time for a phone call. After a couple of email and text messages, we set a time yesterday for me to call them. I used my iPhone to make a conference call. It worked like a charm. I did this while Kate was getting her nails done. I told the children that I wanted to tell them something that they may have already suspected or known. “Mom has Alzheimer’s.” I proceeded to tell them how long since the diagnosis and a little bit of how that had influenced our time together and that I wanted them to have the benefit of that knowledge as well. I asked them if they had known or suspected. Jesse indicated that she had wondered. Her best friend had asked Kate when they were together about the time of her husband’s death. After that, Jesse had noticed a few things. Kevin said he remembered her getting lost when they flew in with the family for a visit for Thanksgiving several years ago. It struck him that that was like some of the patients he dealt with. Then he put it aside. He did notice that when we visited at Christmas, we went back to the hotel early. 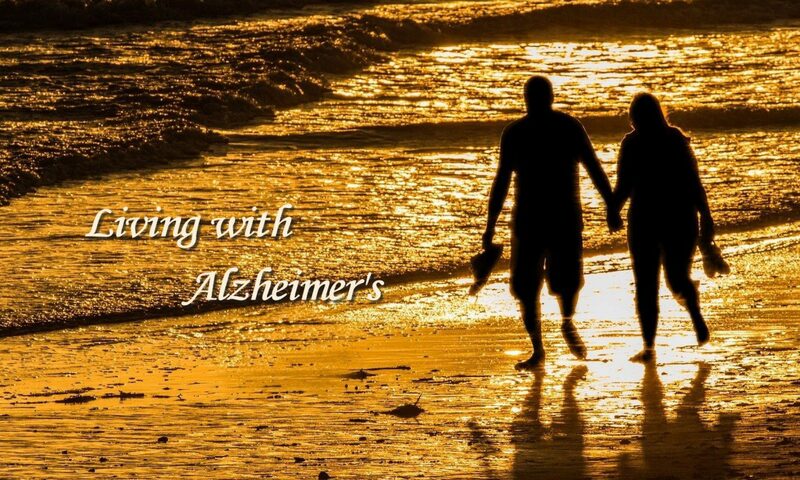 Thus, he wasn’t surprised, but he had not actually been thinking that she has Alzheimer’s. I have had no communication with either of them until this afternoon when I sent a text message and got a reply from Kevin. State Farm sent a representative this afternoon to deliver a check for her car. When she (the rep) asked if we had made a decision about another car, Kate said we had decided not to buy another one. My text was to tell the children this good news. I had been worried about telling Kate that we shouldn’t buy another one. A couple of weeks ago, she said something about another car. I told her that we should talk about that later. I haven’t said anything since then, and she hasn’t brought it up. On the other hand, she has told me that her friend, Ellen, had volunteered to take her anywhere she needs to go. She has also said something about my being her chauffeur. She said this in a positive, accepting way. I didn’t take it that she liked it, but that she was accepting it. Today’s news that she doesn’t expect us to buy another one is confirmation of that. I sent an email to Jesse and Kevin telling them I would like to talk with them this week at their convenience. I also told them I would like for them not to say anything to Kate. I am sure that will make them wonder what is going on, but that may be a good thing. It should result in their responding more quickly than usual. At any rate, after debating with myself over and over again, I was finally convinced last week that I should let them know about Kate’s AD. In fact, last week I composed an email like the one I sent today and then deleted it before sending. I hadn’t decided against telling them, but I felt the timing last week might have been difficult because I knew she was going with the boys to Alabama where her husband is working for several months. Tomorrow is a relevant day for Kate and me though I don’t intend to say anything to her. It was 3 years ago tomorrow, January 21, 2011, that we met with Dr. Reasoner to hear the news about her tests for AD. On balance, I think things have gone well during that time. I say that because we are still able to enjoy so many activities together. I fear the next 3 years will not be as good to us. Clearly she has declined since her diagnosis. I also feel she is at a turning point. I only hope I am wrong. I continue to struggle with when to tell the children about Kate’s diagnosis. I am strongly leaning toward telling them soon. In fact, a few moments ago, I started an email telling them I wanted to have a conference call with them sometime this week. As I played with the exact wording of the email and my schedule this week, I decided I wasn’t quite ready and deleted the message. Perhaps I will try again tomorrow or another day this week. Today Kate had an 8:45 am appointment with her primary doctor. Before going for my morning walk, I checked to see that she was awake and knew to get ready for her appointment. She was, and I turned on the TV to the Today Show. When I returned, I found that she was up, had had her V8, and was eating her yogurt. This would have been about 7:40. She continued to get ready to go, and I reminded her that we would leave at 8:30. At 8:29, I told her it was time to go. She got frustrated with me and said harshly, “Just a minute.” After a few minutes I went into our bedroom where I could see that she was still not fully dressed. I reminded her we were to be there soon. Finally, at 8:45 she was ready but never hurried at all. When we got to the doctor’s office, the receptionist indicated that we were late and that they would have to reschedule which we did (for a week from this Friday). I didn’t say anything. There was no need. Kate said she was sorry. When we pulled into our garage at home, I could see that she was depressed. I told her that it was all right, that this was a situation where the consequences were inconsequential. It was clear in reading her thoughts, however, that it really wasn’t the consequences she was worried about; she saw this as another sign of the progression of her AD. At home, I got my things together to go to the office. I gave her a hug. We didn’t need words. We both understood the situation. I believe this is only a precursor to many more of these times. It may even be sadder when the AD prevents her from feeling low. I really don’t know which is worse. Now I am at the office and concerned that I should have stayed with her. I am sorry about that I haven’t written anything since before Christmas. I suppose that is an indication that nothing of major significance has occurred in the time frame. We did learn that Kate’s car was totaled and that they will send us a check for the estimated value of the car. Kate has raised the issue of getting another car, and I really think this is the time for her to stop driving. When she brought it up about a week ago, I suggested we talk about it later. She hasn’t brought it up again, and neither have I. One good thing happened. She went to lunch with her friend, Ellen, on Monday and told her about the accident. Ellen volunteered to take Kate wherever she wanted to go. That led to Kate’s asking her to lunch on Friday while I had lunch with Mark Harrington. They went to Macaroni Grill for lunch, to Coldwater Creek for shopping, and then to a movie (Philomena). Kate got back home around 4:15 and had had a wonderful time. She has continued to talk about how much fun they had and what a good friend Ellen is. She also talked about how smart Ellen is, something she notes about many people she is around. I can’t help wondering if Ellen may not be the first person with whom Kate shares her secret regarding her AD. I think that would be a relief for Kate. She still doesn’t want to make this public. At lunch today Kate mentioned once again that she thought Ellen would really enjoy taking her places. She told Ellen that sometimes she just likes to take her computer to the library and work there for a change. Ellen said she would love to do that herself. Kate also talked about how comfortable she feels talking with Ellen. This past Thursday I took Ellen to her PEO meeting. A few days before, I saw an email from the chapter president who asked her to bring some old archival documents that Kate had been keeping in our attic. Knowing that she would forget, I went to the attic and got them ready the day before the meeting. Then I put them in the car and took them in when I took her to the meeting. Inside I spoke briefly with one of the members who is planning to move to Florida before the next PEO meeting. I asked her how she was doing, and she said she was not doing well, that she was losing her husband who has dementia. I expressed concern and said that I would say an extra prayer for them. She responded by saying she would be praying for me too. Her look and the way she said it made it clear that she knows Kate’s situation as well. Previously I may have mentioned that Shirley Hazel probably knows because she had mentioned to me one time that Kate was having memory problems. This brings to mind something that I have stated before and that is Kate doesn’t know how far along she is. She knows she is frustrated and finds herself less and less able to do routine things, but she still wants to make commitments or “plans for things in the future. After Thursday’s PEO meeting she told me that she had signed up for the program in December. That means she will host and present the program. At first I thought she might be thinking of doing a program on our trip to New Zealand, but she intends to do one on family Christmas traditions. I think that is one she will be able to do rather easily. It will also permit the other members to share their own family traditions. My point, however, is that she doesn’t begin to think that this task might be challenging for her at that time. I also notice that she continues to be more apathetic about some things. For example, it wasn’t until this afternoon that she got her new clothes from Coldwater Creek out of the bag. In the past, she would have come right in and taken them out of the bag. She has gotten much better about washing clothes which has become “necessary” since losing our housekeeper. One thing she is not good about, however, is getting the clothes out of the washing machine and/or the dryer. This past week at least 3 days past after she had washed clothes that they were ready to be put up. She is more irritable than she used to be. For example, as we were driving to lunch today, she said we need to go by a frame shop. I innocently asked why we needed to go there, and she got miffed and said, “Let’s not talk about it.” When we got home, I discovered that she wanted to stop by to look at a piece of artwork to go above the door from our family room into the hallway leading to our bedroom. I then recalled that she has mentioned that a number of times over the past year or more. She thought I should remember that even though she hardly ever mentions it. On the other hand, I continue to find that she doesn’t make connections well. If we are talking about something or someone, and a few moments later I make a general reference like saying “she,” Kate doesn’t know who I am talking about. We were with her brother, Ben, over the Christmas holiday. Everything went well. He went with us to Fort Worth where we went to Sadie’s Cafe for lunch, a cousin’s for dinner, and Sunday lunch with Naomi, a very dear friend of Kate’s mother. After dropping him off in New Braunfels and our heading back to Houston, Kate remarked at how smart Ken is and that she had a new appreciation for him. I like her feeling good about her brother and other people but sad that I think it comes because she finds herself so unable to do many things.